The Quinnipiac Bobcats men's ice hockey scored its biggest win of the season on Friday night when they upset the #3 ranked Clarkson Golden Knights at the Frank Perotti, Jr. Arena. 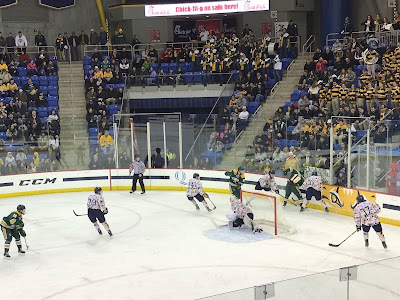 Three nights after a 5-3 loss to Princeton in which Rand Pecknold characterized as one of the worst of his coaching career, Quinnipiac scored the first three goals of game en route to a 4-1 win over a team that has been one of the best in the country all season. Quinnipiac kept the trio of Sheldon Rempal, Devin Brosseau and Nico Sturm who have combined for 80 points this season scoreless on the night. "I thought our battle level was great, said head coach Rand Pecknold. I thought the key to the game was in the first period when Keith [Petruzzelli] made that huge save on a two on one semi-breakaway. If he doesn't make that save and we are down 1-0 it might be a different game but we got that first goal and a lot of confidence." The Bobcats opened the scoring just two minutes into the first period when Tanner MacMaster scored short side past Jake Kielly. It was a weak goal by Keilly who has been a rock this season for Clarkson but the goal gave Quinnipiac a lot momentum in this game. 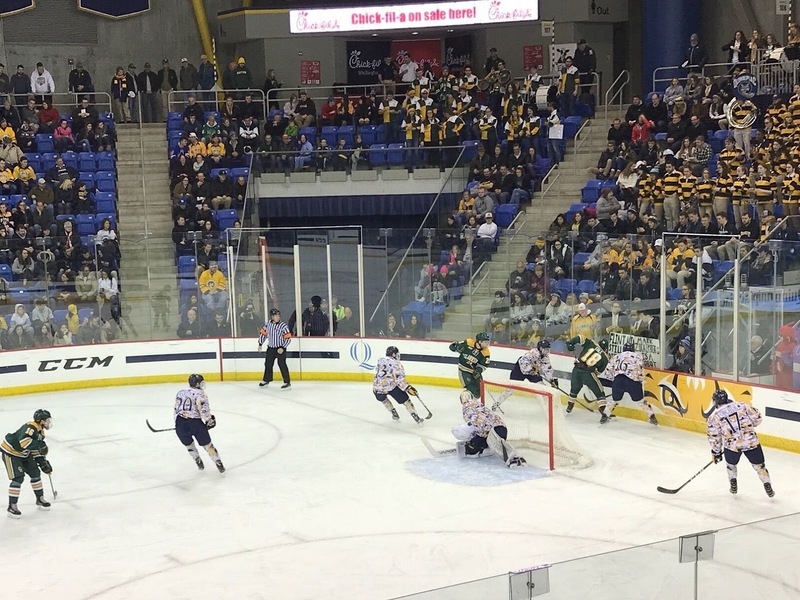 In the second period, Quinnipiac played a little tic-tac-toe with MacMaster feeding Jermain cross ice who fed it to a wide open Tufto racing into the slot to slide it high past Kielly for the easy goal. With just under nine minutes left in the period it looked as if Clarkson finally got on the board when Devin Brosseau tapped one home after a scrum in front of Keith Petruzzelli (25 saves). The play went under review for a possible offside but the goal was reversed in lieu of too many men on the ice. With less than a minute left in the second period Alex Whelan raced down the half wall with the puck and sent a rocket short side past Kielly for his team leading 13th goal of the season extending the Quinnipiac lead to 3-0. Clarkson got on the board midway through the third period on Kevin Charyszyn's power play goal. 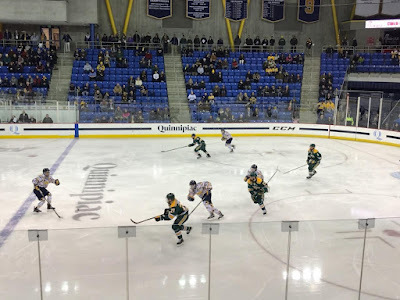 While they put pressure on the Bobcats late in the period, Quinnipiac's strong defensive effort thwarted any Clarkson comeback. "It was an awesome win, said captain Chase Priskie. Its nice to get back on the right track and start playing Quinnipiac hockey. Everything we preached after the Princeton game we hammered it in this game and got our reward". Junior defenseman Brandon Fortunato scored the empty net goal with five seconds left to ice the victory. " "I think the biggest thing tonight was the care and the passion, said Pecknold. The guys were excited to play a top five team in the nation and if we can bottle that and do that every night we are going to be a better hockey team." Quinnipiac returns to the ice tomorrow when it faces the St. Lawrence Saints (6-19-2) at Frank Perotti, Jr. Arena.